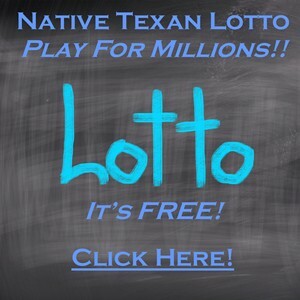 Native Texan is our sister site and the primary internal traffic generator. In Native Texan, we alternatively present Great Texas Fundraiser and The Native Texan Hall of Fame. Through these effort, those organization that are already designated as Friends of Texas may benefit as visitors nominate friends, family and others to the Native Texan Hall of Fame. This benefit is derived because anyone nominating someone into The Native Texan Hall of Fame must select an existing “Friend of Texas” to nominate through. That Friend will then share in a portion of the nomination fee. Each of these communications is built around the Texas Lotto drawings. This is of tremendous importance to Great Texas Fundraiser participants because it provides us with an opportunity to announce appropriate holidays and events that might prompt an application for induction into The Hall. As noted before, each application must be made through Friends of Texas. Current Friends of Texas will benefit from these efforts. Additionally, we do Search Engine Optimization and many other activities designed to attract and retain visitors. We undertake a significant effort that is added to whatever communications you undertake to announce your organizations “Friends of Texas” status to your constituency.